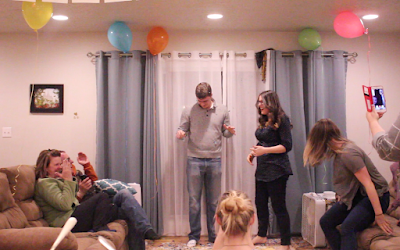 Braden and I had so much fun putting together a mini gender reveal party. 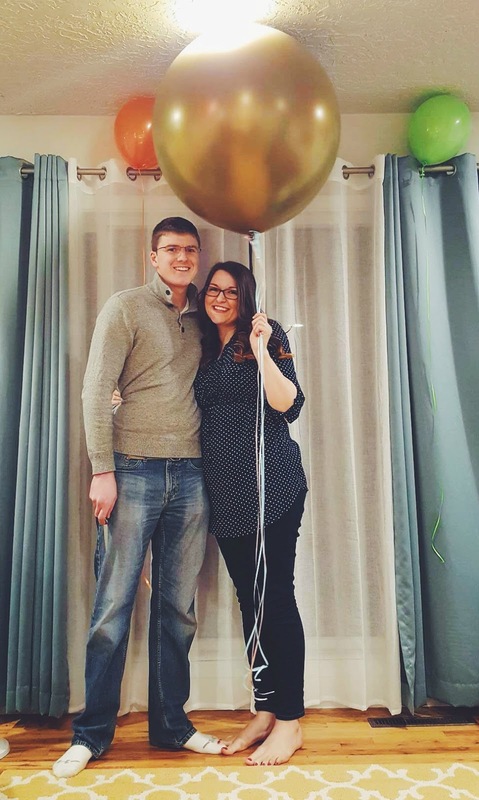 We planned it for the day of our first, 20-week ultrasound, also when we found out the gender. Our ultrasound was at 2:30 and the party was at 6 so thank goodness we did not have to wait too long. I think everyone was anxious. My mom kept texting me bribes to try to find out early...hahaha. I was filled with so much anticipation. 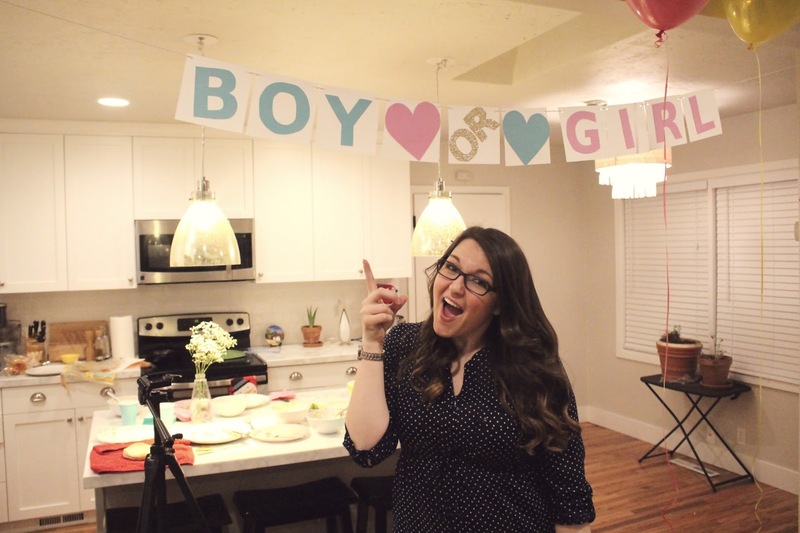 Our ultrasound went so smoothly and we loved seeing baby boy move around in my tummy and everything looked perfect for that point in my pregnancy. 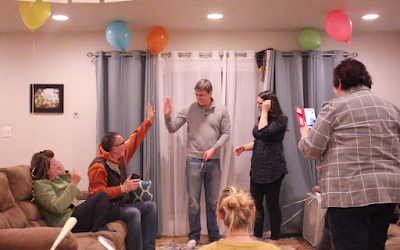 ^My absolute shock and excitement to find out we are having a baby BOY! I just can't wait to have a mini Braden running around. I hope he is exactly like my sweet husband. 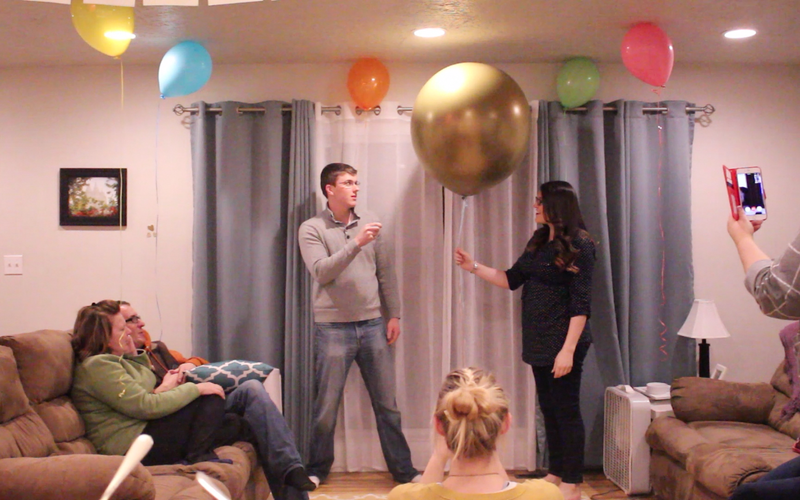 If I have a "Braden baby," we will be golden. 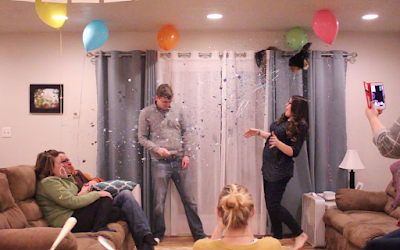 20 weeks pregnant and finally "popping" - I am loving every moment of pregnancy! I have been getting a little "crafty" lately - which if you know me, you know I do not craft. But this sign turned out so cute! I didn't want to spend $15-20 on etsy for a sign like this so I spent about $3 and made it myself instead. We are so excited to welcome this beautiful baby boy into our home! We loved having a some family and close friends here to celebrate this moment with us. We love you all! We are putting the final touches on the nursery and will be sharing photos soon. We LOVE how it is turning out!